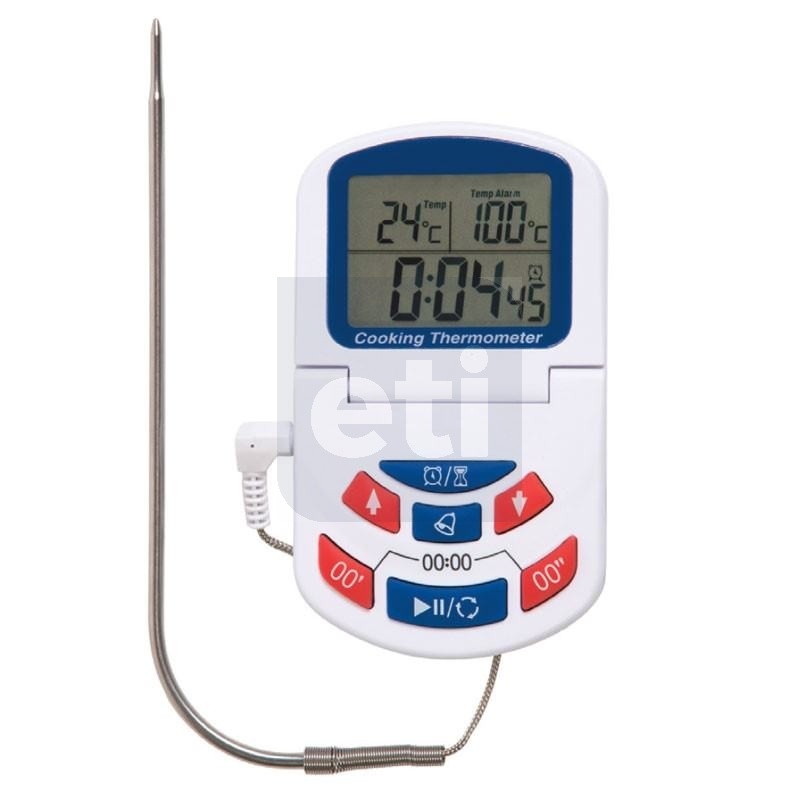 This combined thermometer, clock, countdown timer displays both the actual and the alarm temperature over the range of 0 to 300°C and simultaneously the countdown or the actual time. 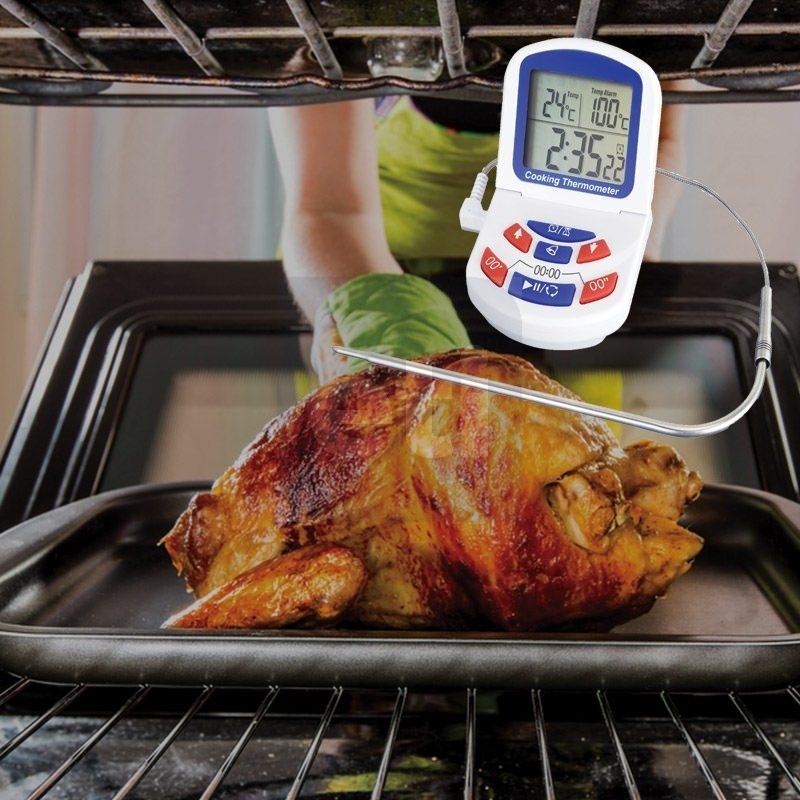 The thermometer is supplied with a high temperature probe and a one metre stainless steel braided lead. 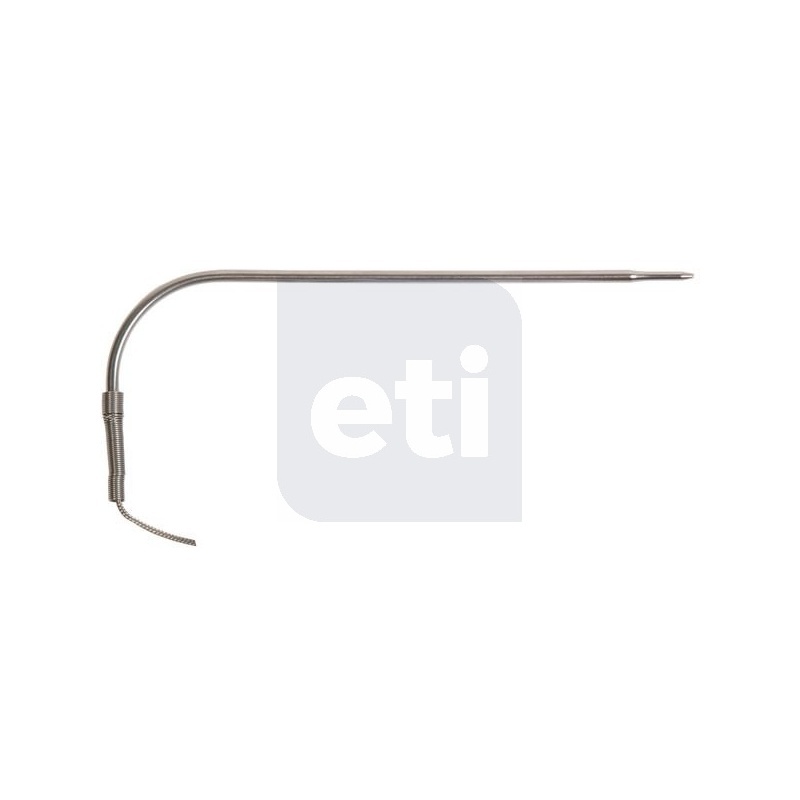 The insertion length of the probe is 150mm (Ø4mm) and incorporates a reduced diameter tip for faster response.